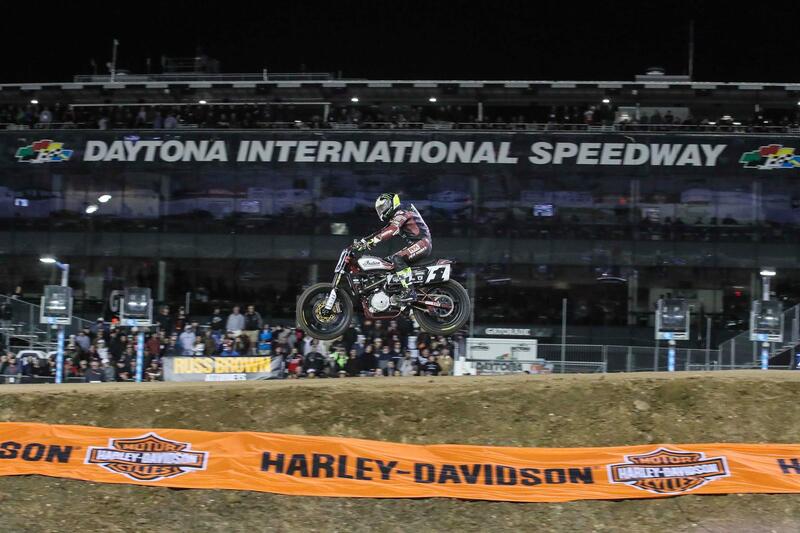 While tracking down Mees and Beach proved a feat too big for even Wiles, he did slash past the likes of Bryan Smith (No. 4 Indian Motorcycle Racing backed by Allstate Scout FTR750), Briar Bauman(No. 14 Zanotti Racing Kawasaki Ninja 650), and early-leader Baker to secure the final spot on the podium. Instead, the evening belonged to the AFT Singles category’s two preeminent TT aces, Dan Bromley(No. 62 Big Momma & Daddy Deep Pockets Racing KTM 450 SX-F) and Jesse Janisch (No. 132 Roof Systems/West Bend Harley-Davidson-backed Yamaha YZ450F).